perhaps appropriate for the 10-year anniversary of its original planned release date, 1998.
artificial locales are in effect, fabrications. This one was worth the wait. One of the most truly "ambient" recordings Hypnos has released, great listening for headphone-nauts. I've heard the third solo album will be coming out in 2018, so everybody should have lots of time to wrap their ears around these gorgeous micro-worlds of sound. Congratulations Mike... You did it!!!!!!!!!!!!!!!!!!!!!! Thanks guys... and thanks, Drone On, for being one of the first to order. 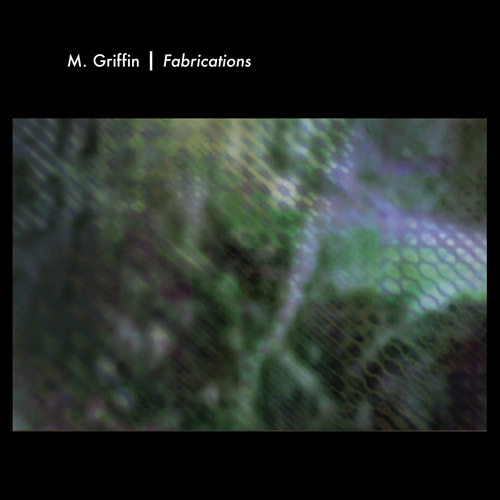 Now, to deflect some of those "10 years between albums" jokes, I'd point out that Fabrications is my fifth solo album, and that even though it was 10 years (OK, 11 years) in the works, I did plenty of other stuff in between. Great idea and great samples -and now I understand why it took ten years. Thanks, everyone. It's nice to have it finished, and it feels good to release it with the knowledge that I didn't just say "screw it, it's done, let's make a CD out of it and put it behind me," but actually stuck with it until it had the level of novelty and complexity that I had set out to achieve. Very nice! A windblown stream of strange sounds and vocal fragments, very atmospheric, and never straying far from the Almighty Drone. Highly recommended ...and use your headphones! Thanks very much, Joe, I appreciate your comments, and I'm very glad you enjoyed Fabrications. I wouldn't normally feel "nervous" about letting a recording loose into the world but this one had built up so much complicated feeling and expectation about it, in my own mind, that it's especially pleasing to get the sense that people are receiving it the way I hoped. Just got this yesterday, and am still digesting it myself. Very defense spooky concrete atmospheres that remind me in places of mid-period Zoviet France, but without the emphasis on looping. Some industrial-like abstract sounds midway through, but nothing Merzbow harsh. After Joe's comments, I'll have to try the headphones thing. Very nicely done. Mike! I'm curious what you would consider "mid-period" Zoviet France? Which albums, I mean? I was thinking of Zoviet France's "Shouting at the Ground," and maybe, to a lesser extent the "Assault and Mirage" and "Misfits, Looney Tunes & Squalid Criminals" albums. It's been a while since I've listened to it, but I think there's a sidelong track on "Shouting" that has that spacey textural quality I hear in Fabrications. Shouting at the Ground is one of my favorite ZF albums but I wondered if you had something else in mind... and I'll admit to never having heard "Misfits, Looney Toons etc" so I ought to try to track that one down if I can. very well done, mike! super cool! i love manipulating sounds and the atmospheres created by that technique. this is an excellent collection of manipulated acoustics!